Washington’s SB 5329 would exempt the state from DST and remain on Pacific Standard Time year round. 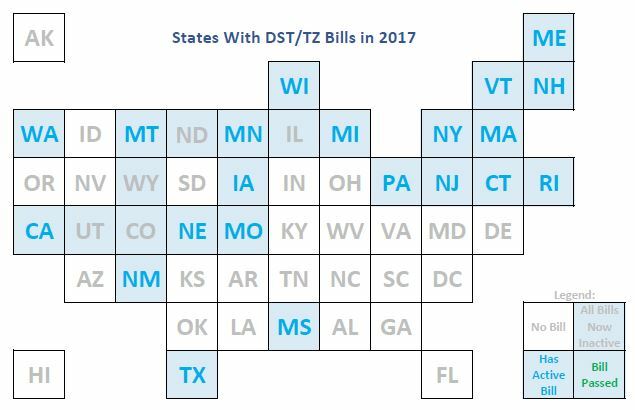 Colorado’s HB 1118 would similarly exempt the state from DST, putting them on Mountain Standard Time throughout the year. Massachusetts already had a bill, but its only provision was to create annual proclamations during the “Spring forward” and “Fall back” weeks as a safety reminder. The new bill, SD 1545 entitled “An Act to reduce traffic fatalities”, has similar language to the previous bill, but is based on the traffic fatality reduction premise. Nothing really new here relating to DST. 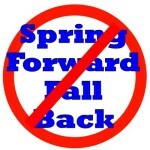 I along with a good number of people believe that year round DST should be implemented. People on western side of each time zone would prefer year round standard time.